Our trip to Mexico City to visit with the Mexican Wakeboard Mafia was successful. 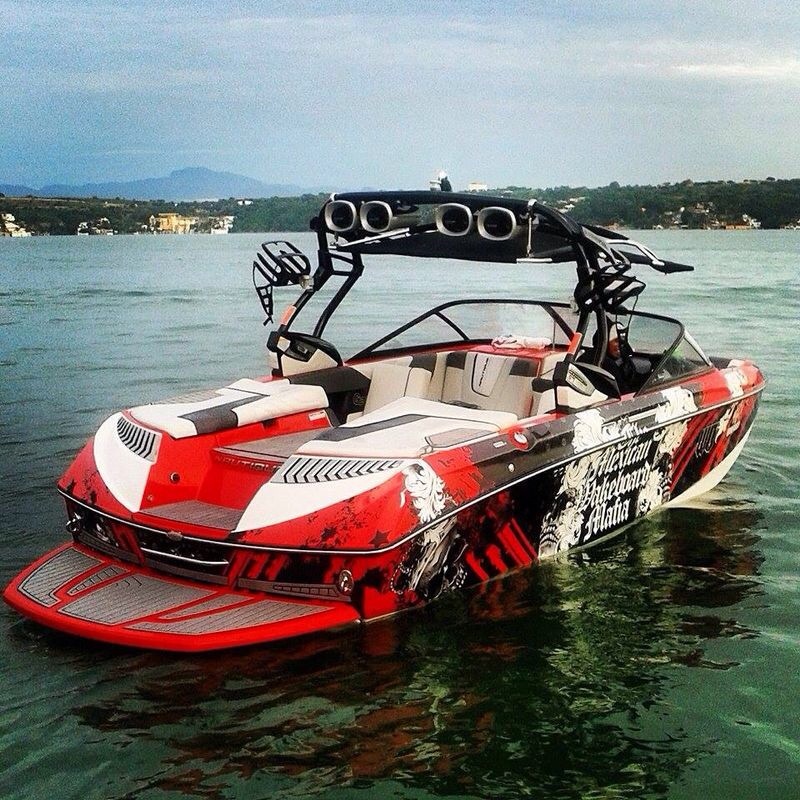 We wrapped a Nautique G21, Ram 1500, and Jeep for the Mexican Wakeboard Mafia. We custom design, printed and shipped the wrap kits to Mexico City. Two crew members from WakeGraphics.com flew to Mexico city to perform the installs. We were in Mexico for 7 days then flew back to the states. The Nautique boat wrap turned out great and you can see some photos below. The Jeep wrap was also custom designed with a Grunge theme to match the Truck wrap and Boat wrap so everything looked fluid and similar. We can change existing stock theme graphics by either adding/removing images, art elements, changing colors and more. Get your wrap kit shipped today and/or stop by the shop and get it installed here!